As a kid, any time I heard the words, “we’re having rice for dinner”, I would complain. It seemed as though every night, my mother would make us her classic dinner – rice, a side of meat, and a basic salad that is a staple in Persian cuisine. As an adult, I only crave those meals now. There’s something incredibly comforting about the food your mother makes for you, but it’s difficult to appreciate that until it’s nearly too late. Now that I live in Toronto, which is five hours away from where my mother lives, I rarely eat anything found in Persian/Afghan cuisine. 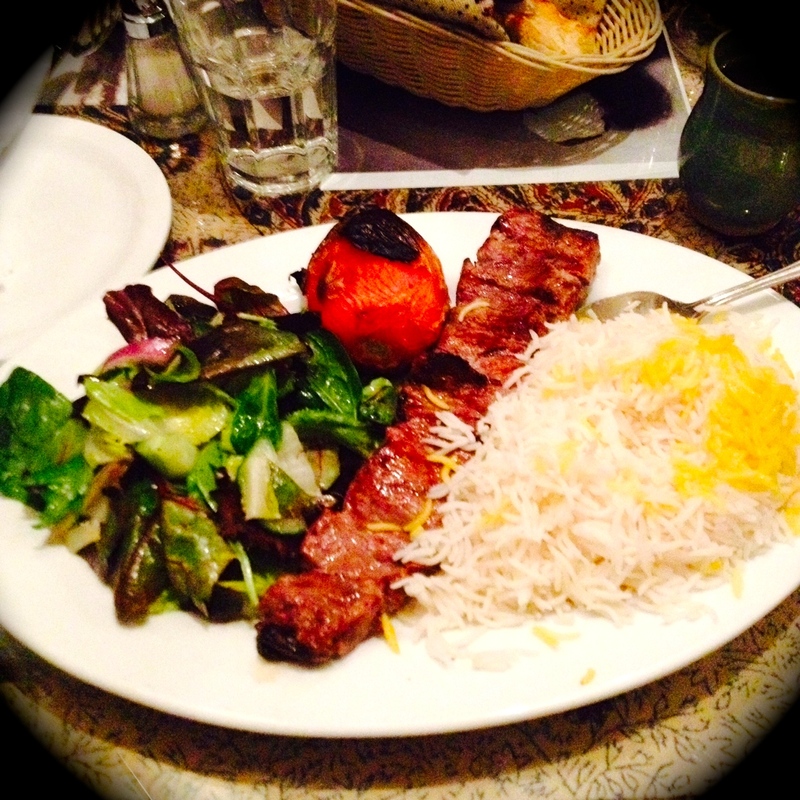 For that reason, I was more willing to try the Sheherzade – a Persian restaurant in downtown Toronto. The Sheherzade is run by a Persian owner and his “Canadian wife”, so the waitress told me. I’m normally a little picky with my food, especially food from my own culture. It’s rare that I find any satisfaction in Persian/Afghan restaurants, since most of them don’t taste authentically the same. The Sheherzade, however, manages to overcome this challenge. Unlike many other Persian restaurants, the rice isn’t cooked overly greasily. It’s clear that the small size of the restaurant works in its favour, as the dishes feel more personalized rather than processed. The menu also includes important dishes that are sometimes left out at other places. Furthermore, it actually tastes like it could have been made by a family member, which is the highest compliment any restaurant could ever receive. 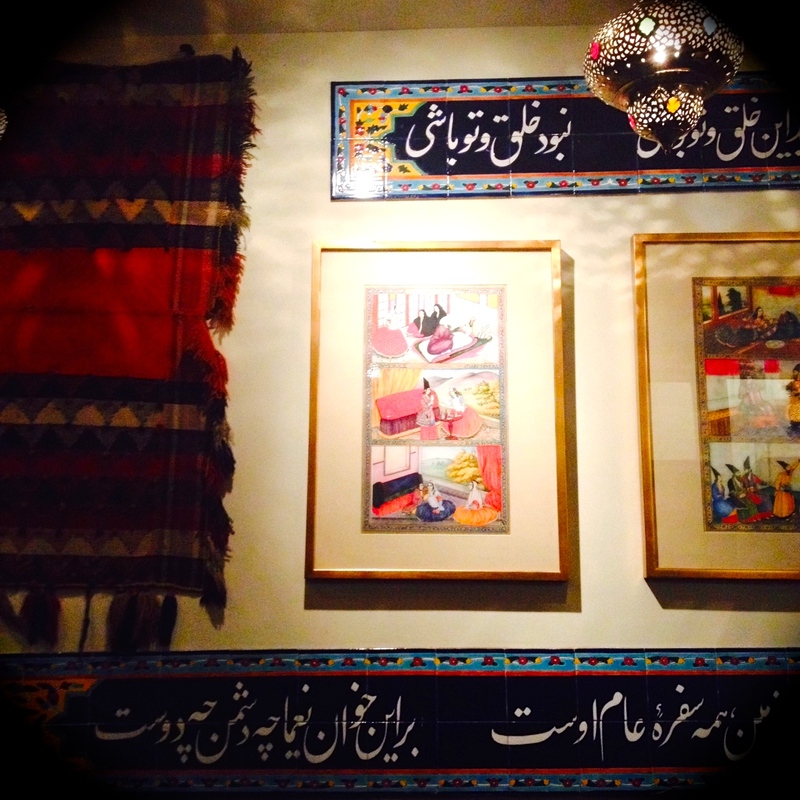 The Sheherzade’s decor is also a nice blend of cultural relics and more modern styles. It feels familiar, but not too much so. Luckily, I managed to find the place during a time when I was craving my mother’s cuisine, making it even more enjoyable at the time. So, now I know where to go for a little reminder of home. Pros: location, price, quality of food. Cons: difficult to get a reservation. 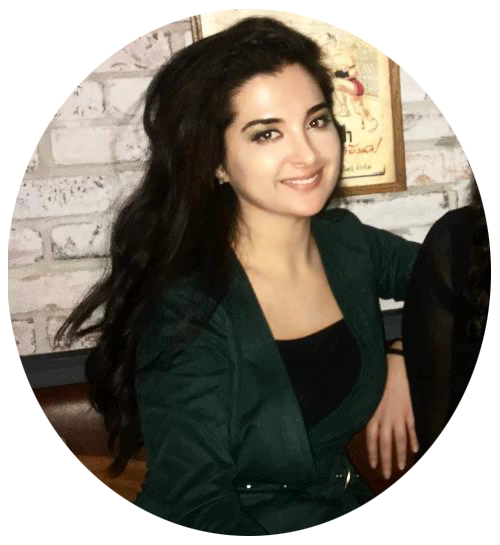 Tags: Afghanistan, Canada, Cuisine, Downtown, Food, Iran, Ontario, Persian, Persian cuisine, Restaurants, Reviews, Toronto. Bookmark the permalink.